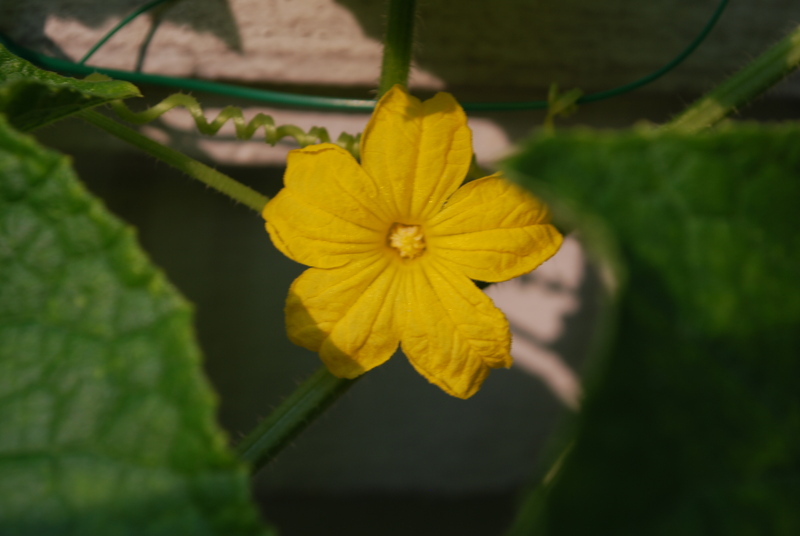 My cucumber plants have produced more than 30 male flowers up and down the vine. They have enough for a class of boy cucumbers. I have to learn collective nouns for my English exam. Do you know what the collective noun is for cucumbers? It is a PICKLE of cucumbers! This entry was posted in Cucumber and tagged Cucumber by Growing Like a Weed. Bookmark the permalink.